Write a review of your partners' website and get linked! Great for SEO (Search Engine Optimisation) and networking! 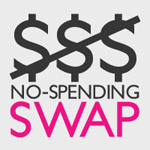 This is a second installment of the No-Spending Swap!! The objective of this swap is to exchange links and increase your chances of appearing in search results, therefore bringing more traffic to your website! 1. You will have 3 swap partners you send to. 2. E-mail each swap partner you are supposed to rate (aka 'Rate your partners') the URL of the website that you'd like them to review. 3. You should also receive 3 URLs from your partners you send to. 4. Write a review of the 3 URLs you receive on your blog. 5. E-mail your swap partners when you have published the review of their website on your blog. - This swap is open to international swappers with a rating of 4.5 or higher. - Swappers must have an existing blog and/or website. - Blog must be at least 3 months old and have at least 12 entries. - Those who don't meet the requirements will be considered on a case to case basis. - Remember to put a link back to your partner's website. - Write something nice about the website. - Send out your URL early so your partner has enough time to blog and/or space out the reviews. we need to send our blog to our patners thru email or swap-bot mail?? Are the urls- all blog addresses? So do I send my blog and two others? I have just re-read the instructions. All I have to do is send my blog address to 3 people. In turn 3 people will each send me ONE website or blog. Do we say we've "sent our items" after we send the first email or after we do the reviews? Well I have e-mailed my link: http://simonesbutterfly.blogspot.com/ to my partners. i did send my blog link to my partners... enjoy! One of the reviews on my blog has been done, but when I went to rate the reviewer I found out that I have different people to rate than the reviewers. Can this be fixed. so it looks like the ratings are for the people who are supposed to send me their websites. I would rather rate the person who reviewed my site than the person who sent their link to me. I have completed reviews for the two blogs but I I know understand the confusion above and I am wondering if I reviewed the right blogs. I see the third person on my review sheet has been suspended from Swap bot. So I think I can safely say that I have completed my side of the swap. Please let me know if I reviewed the right blogs ! Hello everybody, If you have only 2 swap partners, it's likely because you've got Rachel Johnson as your swap partner and she has been suspended from Swap-bot. If you'd like to have a 3rd swap partner, please let me know and I'll arrange. Otherwise you'll only have two. sorry guys, my account was suspended by mistake. i am still participating in this swap. I have not sent out my link or started reviewing, but I plan to get started asap. I sent my web address to the three people I am supposed to rate once they have done the review. However the same three people sent me their addresses, so I think something may be confused. Should I send to my "Send to" partners, too? I have reviewed and rated the three people who sent me blogs. I am waiting for 2 of the 3 partners to review mine. This seems like it is the swap that does not want to end. I have reviewed Ciyou, Eveyinorbit, and Simone on my blog. I also linked to my three partners who reviewed my site. Thanks for all the kind words! I loved discovering all the new websites. I've reviewed and linked all my swap partners too! Here's the link: http://blog.zakka-zakka.com/?p=228 Thank you all for being so endearing. We got more than we bargained for but I think it was worth meeting new bloggers and getting comments. I support author's viewpoint, hoped that will have later also more better articles, wholesale will read the first time, thank!